Meet "Deep South Social" — Breathless Paper Co. If you know me, you know that I'm passionate about bringing makers and entrepreneurs together, sharing talents, collaborating, and celebrating creativity. For all those reasons, Deep South Social was born. For those of you who don't know, Deep South Social is a creative consultancy that represents a collection of lifestyle brands, all born and raised in the South. Our focus is on brands and people who have mastered their craft and create quality, unique products with pride and love. We've grown to an amazing 17 brands, including Breathless Paper Co., and we're loving the incredible collaborations and successes that come from this collective. Keep reading to find out more! Born from a love of Southern designed goods, business collaboration and great ideas, founders Jessica Berinato (of Breathless Paper Co.) and Ashley Schoenith (of heirloomed + IceMilk Aprons) want to help bring these like-minded entrepreneurs together and share how wonderful they are with the world. The community of Southern brands makes for a collaborative group of amazing companies that continue to appeal to the same audiences and that support each other as a team. We truly love working with passionate people to support them with marketing, public relations, design, tradeshow services, sales materials, wholesale representation + more. Between us, we have over 15 years experience in being business owners, marketing agency, retail store owners & wholesale expertise - but most importantly we are entrepreneurs ourselves who run our own businesses. Through our own efforts, our small businesses have been featured by media outlets such as Oprah, Martha Stewart and a variety of the Southern, decor, food and lifestyle publications out there, and we have worked with such companies as Nordstrom, Target, & Hallmark, as well as a large variety of independent retailers across the country, and world-wide. 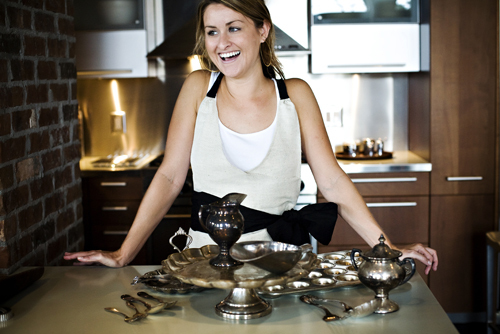 Ashley, my partner in crime, co-founder of Deep South Social, and designer at heirloomed! Check out our family of brands below... we're pretty obsessed with them. Posted on April 20, 2017 by matthew berinato.